Although the box got pretty battered up on it's way over from the USA, all the plastic bits for the new beer fridge arrived today. There are a couple of beers lagering in the keg-fridge so it's still going to be a few weeks before I fit it out. Jim at Apex was a great help in getting the stuff selected and even had to order some things in for me (since the 'Australian' 5/16 OD Beer and Gas line is not used that much in the USA). 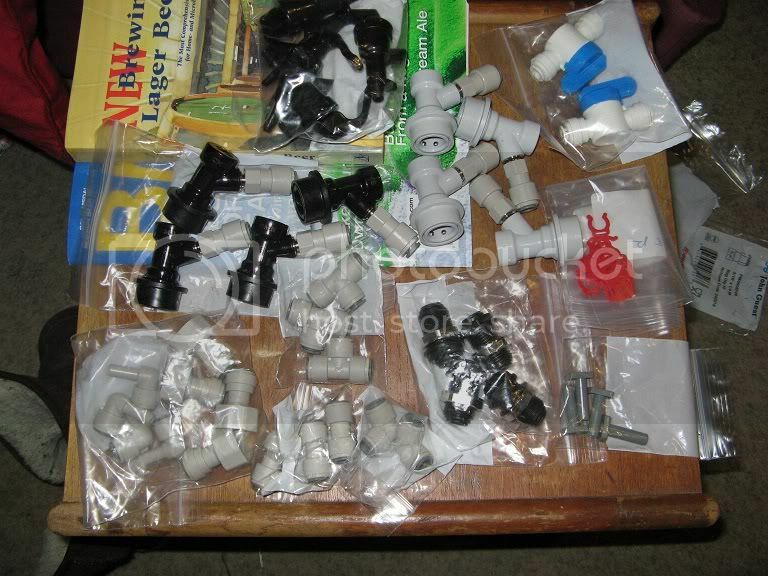 While shopping locally is nice, I saved about AU$275 by ordering all the bits shipped from the US.